In fact, Zamora attempted to make an issue of Bukele's visually distancing himself from the FMLN, by asserting that he, Zamora, was not ashamed of his party and that he was proud of being a member of ARENA. 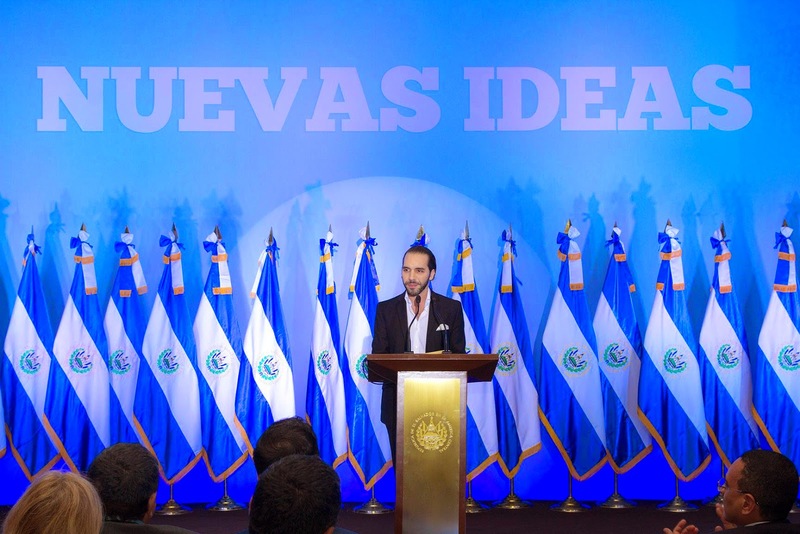 Bukele has responded that the country needs to get to a point where what is good is called good and what is bad is called bad, regardless of which party is responsible. El Faro has a behind the scenes report on the debate here, with coverage from the point when the young businessman got out of his Porsche Cayenne at the TV studio, entered without any sign of the party leadership, and maintained an air of studied cool throughout the debate. In Bukele, the FMLN is showing that it knows when it needs to change. While ARENA always runs pretty much identical campaigns wherever it is, the FMLN is showing its flexibility. That's wise for the FMLN since it was trounced badly in the 2012 mayoral elections and then lost San Salvador in presidential voting last year. Bukele leads in the most recent public opinion polls by 10 points or more. Oops. Thanks Tessa -- I was clearly asleep on that one. I've correctly identified him in the past. The post is corrected now. Don't forget Bukele's red socks he likes to sport. They show up occasionally.